This tie is not only perfect for the tie aficionado that already owns a huge collection of ties, but also for the man who just started wearing ties. 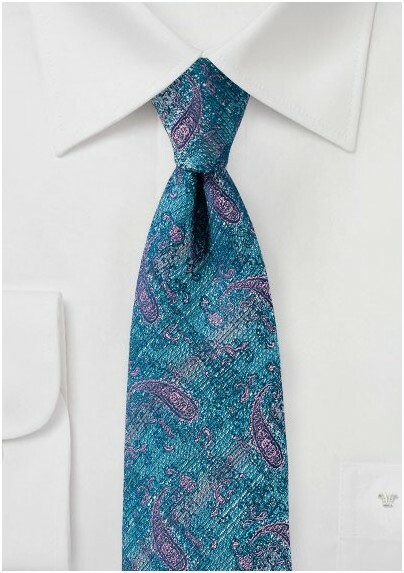 What makes this piece stand out from all other ties is the unusual fabric weave in turquoise, pink, silver, and teal using recycled yarns. 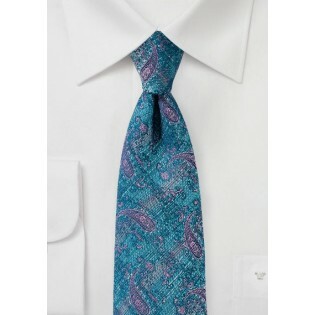 Yes, this tie is indeed made from recycled water bottles and plastic bags that were turned into fine threads and then woven into this unusual paisley design. Handmade by BlackBird designer neckwear.